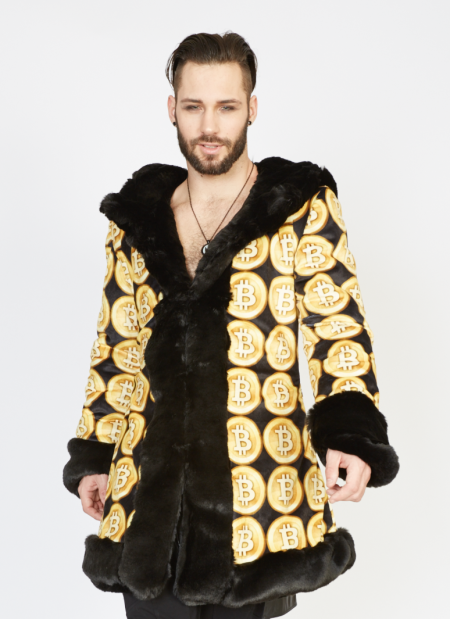 Are you a Crypto King? 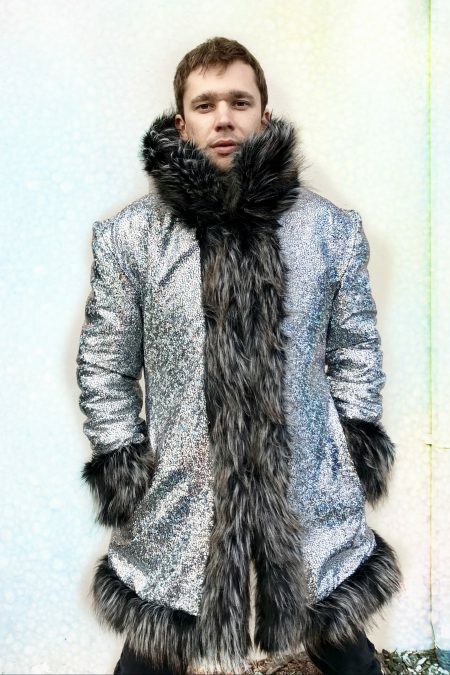 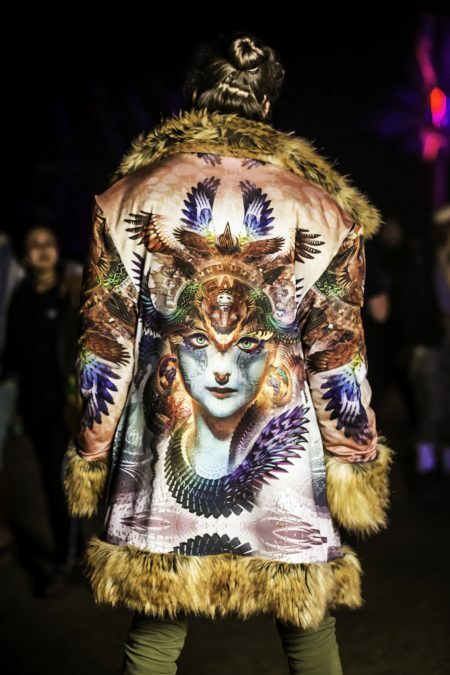 Rule your kingdom in this coat. 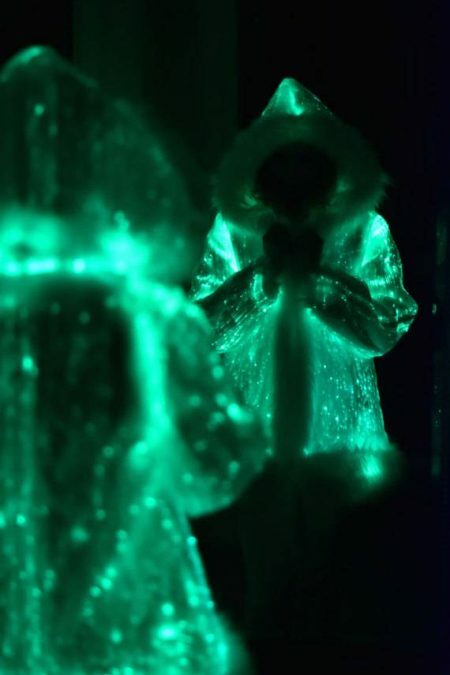 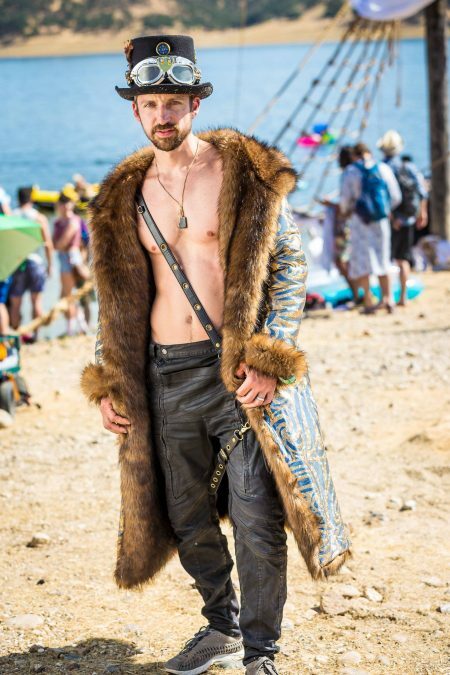 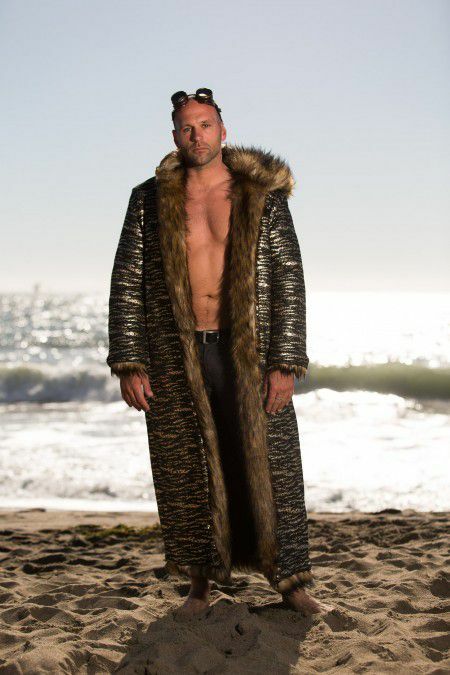 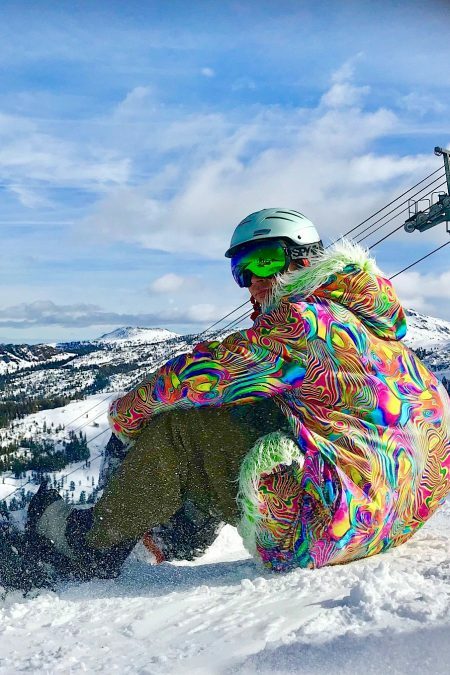 ThisCrypto King Bitcoin jacket will be handmade for you in San Francisco. 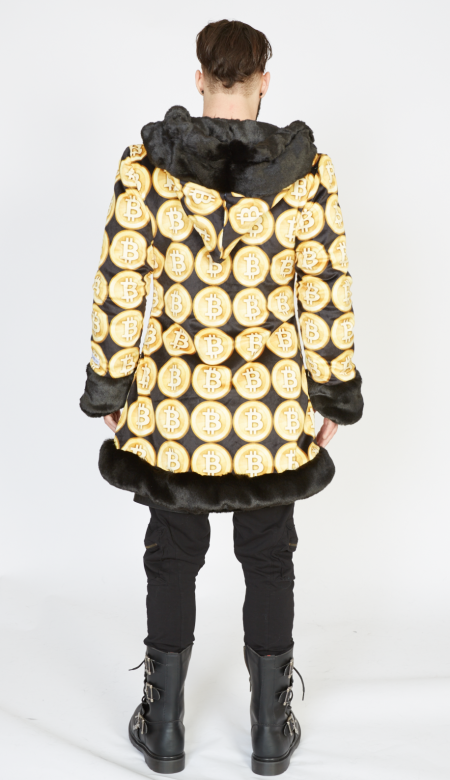 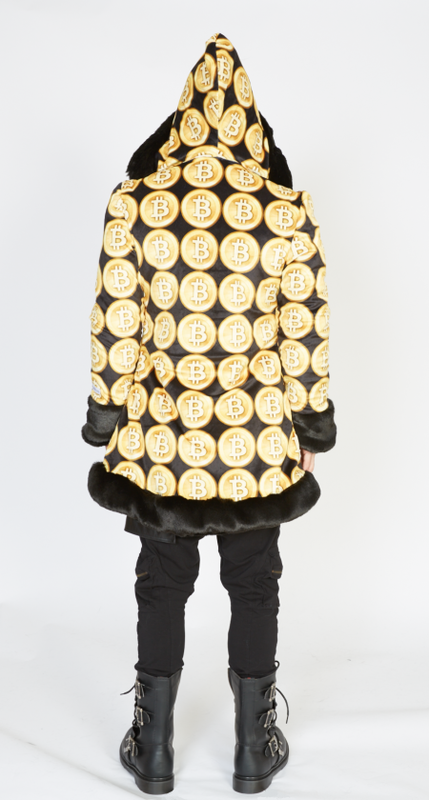 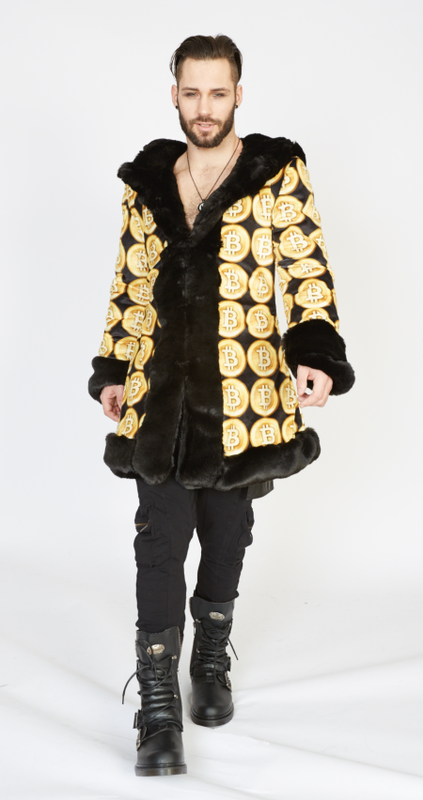 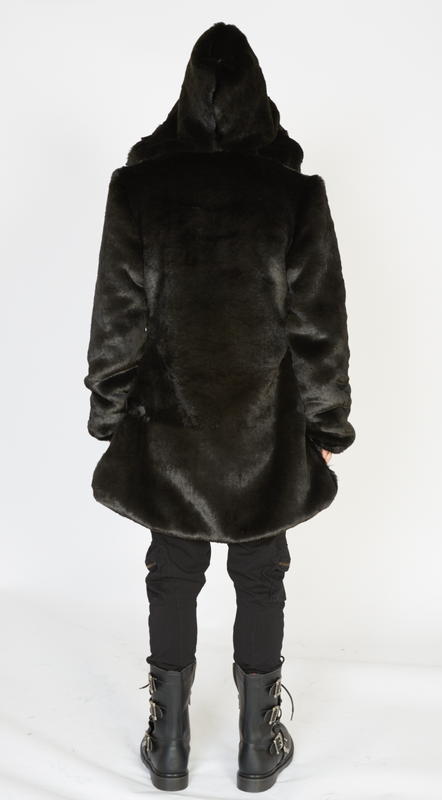 Crypto King Bitcoin jacket has big wizard-like hood and a small collar in the front when all hooks are closed. 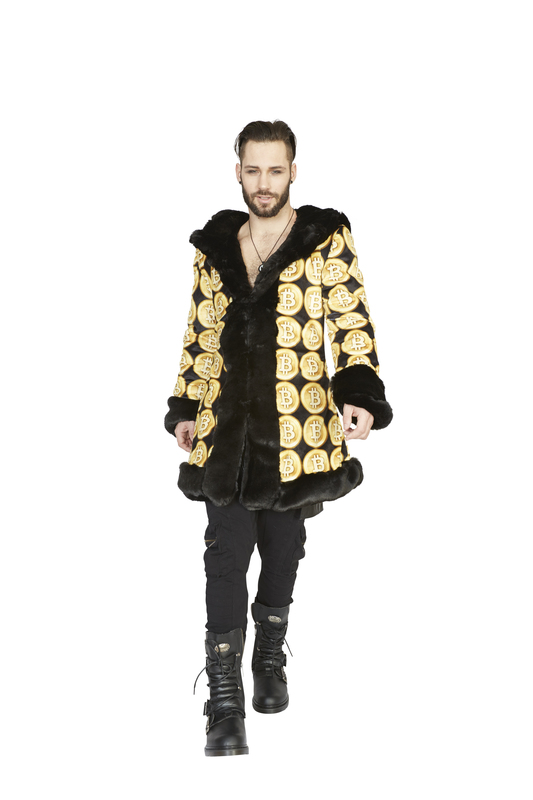 This coat is fitted and has Royal flared cut.